But what if there was something more? What if there was a way to purchase a product that would be enjoyable and functional while, at the same time, it helped to make a difference in the world? One that gives knowledge and a feeling of global responsibility? Inspiration and encouragement to take action in our lives to think of not only ourselves? That's exactly what is found with the 1:Face Watch and the way that it has changed over 146,000 lives since its inception. On a mission to empower their customers, the 1:Face Watch brand was founded on the principle that the power of consumers can be used to actually benefit the world. Why buy a regular watch when you can purchase a 1:Face Watch that can feed a child, quench a thirst or help find a cure? Needless to say, I was pretty much riveted as soon as I began browsing 1FaceWatch.com. Their collection of six colorful watches benefit six different causes, each one as near and dear to our hearts as the next. Hunger, water, breast cancer, the environment, aids and cancer. Six of the biggest issues that the human population has to deal with... all of which we can do our part to help end simply by wearing a chic, modern watch. I was already in love with the concept of 1:Face Watch, but when I pulled the high quality timepiece out of the box, the sleek, simplistic design sealed it for me. Featuring a high grade silicone band for a comfortable fit and an alloy frame with a reflective mirror face, this watch embodies minimalism at its best. When worn, I've found that the square mirror has actually come in handy (who hasn't wished that they had a mirror to peek into now and again?) and that the uncomplicated overall look matches with any outfit. When it comes to telling the time, a simple press of a button makes the white LED lights appear and flash the time for three seconds — plenty long enough to see and make note of it. While the 1:Face Watch is slightly larger than any wristwatches that I've worn in the past, all that means is that it garners more compliments and questions... meaning more people that can find out about this movement. Whether your watch contributes to building a well in Rwanda or provides support to cancer patients, it's amazing to think of the people benefiting from this company. Plus, by following along with 1:Face's social media (they are on Facebook as well as Twitter), you are able to see updates on people getting fed, wells being built, AIDS being fought, and research being done. In essence, the public is able to truly see the change that their money is creating. In today's day and age of smartphones, wearing a watch has nearly become a thing of the past. However, when you can wear one that supports a cause right on your wrist, wouldn't you? The combination of good design and good cause has arrived in the form of a watch with social impact. The 1:Face Watches retail for $40 each and are currently only offered through their website, but will also be available in Journeys stores in April 2013. Find out more at 1FaceWatch.com and remember that they are giving you the ability to check the time and change the world all at once. Love. Other than that 1:Face Watch that I was provided to facilitate my review, I was not compensated or enticed to do this post in any way. This post is solely my honest opinion of this product and this amazing company. Pretty cool concept that a product can help change the world. This is really cool. They are so modern and new. The watches are really fine - very modern, very trendy. Great idea, just not a watch I'd wear. That is the most interesting looking watch! Love that it has benefits beyond just telling the time. 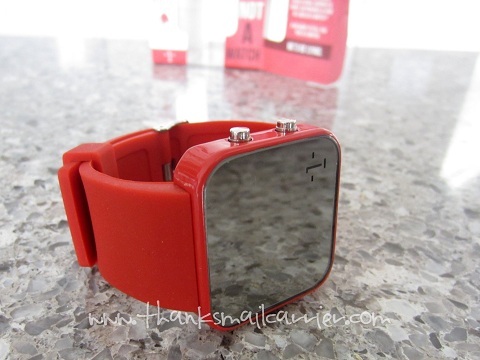 I like the futuristic style of these watches! Very modern! The type face is really neat as well. 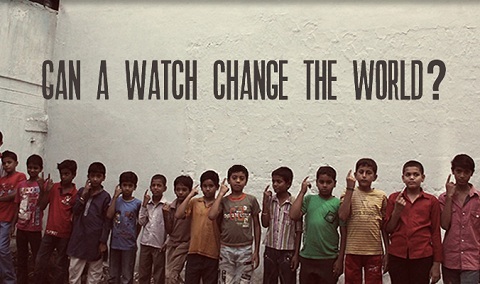 The most important part though is that the purchase of a watch can contribute to humanitarian efforts. 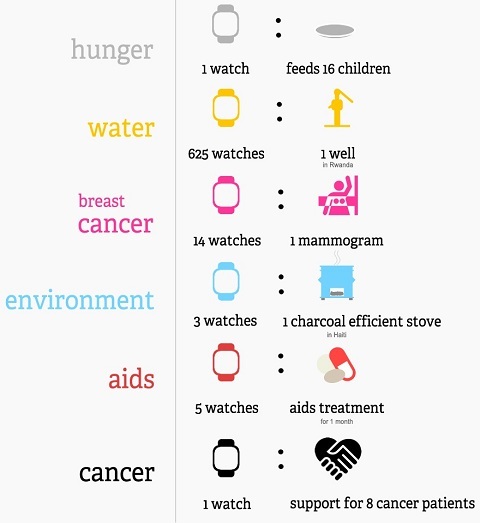 Those causes are great reasons to buy one of these watches. I will definitely have to keep them in my memories for potential gifts. Thanks for sharing. I think this is an awesome program!I would totally wear one of these too, so neat! Thanks for sharing about this great program! These are so awesome! I wish I could afford to buy one right now. I think it would make a great gift. Love that a product does more than satisfy a simple need and goes beyond to help others. 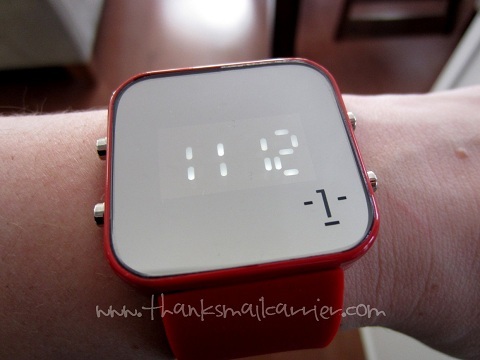 I absolutely LOVE the square watch!! It is so unique and I love when you buy one it goes to a wonderful cause!! 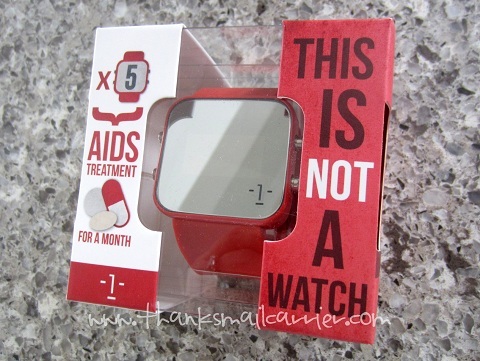 What a great cause and the watches are very stylish. What a great product! I have a passion for watches and so I would love to add one of these to my collection while helping benefit some great causes. I love watches and if I can in a small way help anyone I am all for it. What a fantastic product. I love the concept behind this. A very beautiful statement and important cause.